I just looked it up, and learned that the Avocado fruit is classified botanically as a large berry. I always knew I loved berries!! Today’s Paleo Pantry post is all about the Avocado, what I do with it, and how I utilize the amazing taste and properties of the Avocado, umm, berry. As you can see in the photo above, I frequently use Avocado all by itself. In addition to serving it sliced, or chopped, I also frequently will serve the half-Avocado, in it’s skin, and eat it with a spoon. Avocado is an amazing addition to nearly any dish. I very often utilize Avocado as a green vegetable, served along side a main entree, and another side. From time to time, I will season the Avocado with salt, pepper, or fresh-squeezed lime. less than a day! I put the above dressing over nearly any dish, from steak and pork to eggs in the morning. It is amazingly versatile, and can be used for almost any meal! Guacamole is so common, it deserved it’s own entry on this list. When people think of Avocado, invariably, Guacamole is one of the first ways they think of it. I love Guacamole, and look for every opportunity to make it, and use it. As I mentioned above, I frequently use Avocado as a sauce; and as often as not, this started out as Guacamole, and then I thinned it for use as a salad dressing or meat sauce. You’re all no-doubt familiar with my Bacon Avocado Salad recipe, as well as my post for the Smokey Salad, both of which featured Avocado prominently. Avocado is an amazing ingredient in almost any salad. It is subtle enough not to take over the flavor of a dish, while being strong enough to take the lead when it’s properly encouraged. 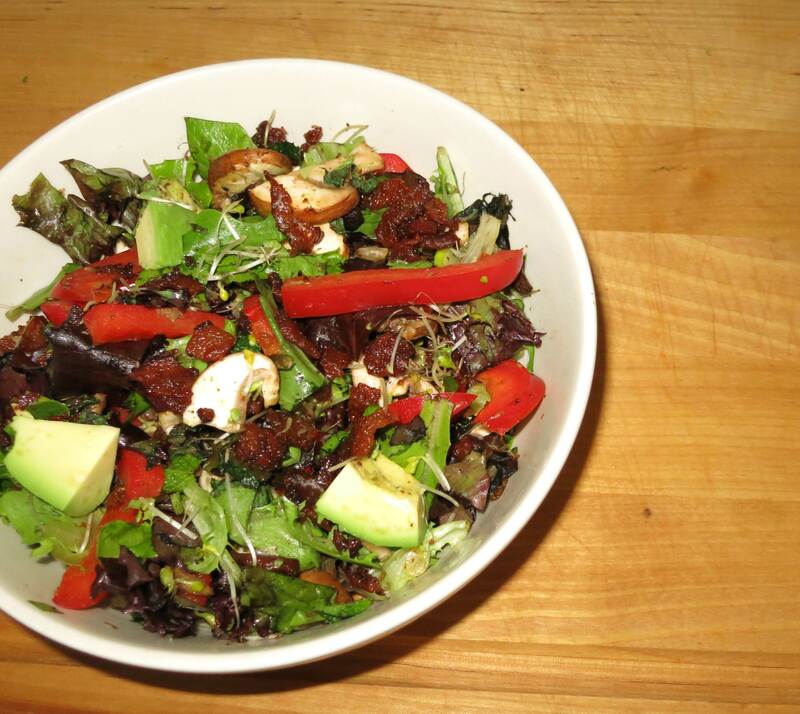 In the Bacon Avocado Salad, I used bacon to bring out the savory rich flavor of the Avocado as an ingredient, and it works amazingly well! In the Smokey Salad, rather than bacon, I used the Smoked Sesame Seed oil, and Smoked Turkey to bring out the savory sweetness of a perfectly-ripe Avocado (and yes, they definitely can be sweet!). There are times when a recipe calls for a thickener like butter, something creamy like cream, or even eggs, and you just feel like using Avocado instead. 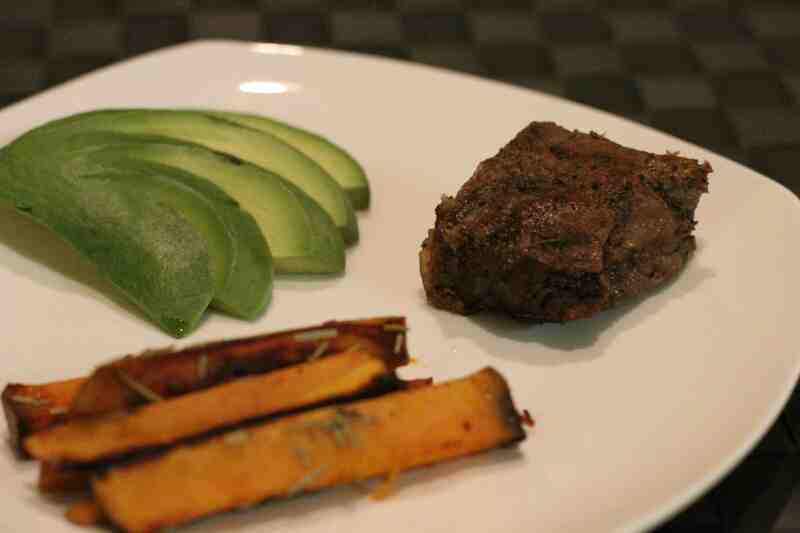 Like this recent post by Health Without Compromise: Chocolate Avocado Mousse. Why not use Avocado as the thickener in the mousse instead of milk cream or coconut cream, or even egg whites? Or, in this recent post where the Avocado was used as an “Extra” in some sushi rolls: Lollipop Rolls. If you’re wondering what you’re going to use your Avocado for, fear not. Grab a few and you’ll no doubt be impatient waiting for them to be perfectly ripe, rather than ignoring them until they’re over-ripe and going bad. There are so many different ways to use Avocado, and all of them are great! How do your use your Avocados? I can’t wait to hear about it in the comments section! Recently, I’ve used avocados as a thickening agent in pistachio pudding! Shux! It sounded so good!! When you try again, let me know what you do, and how it turns out!